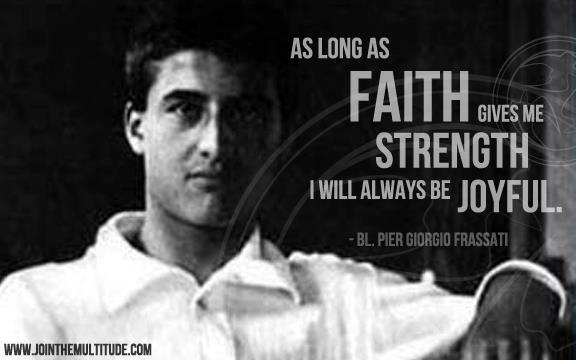 We pray: Blessed Pier Giorgio, lead me in the path of purity, for only those who are clean of heart can behold God’s face. Help me to be faithful to the covenant I have made with God in Baptism, that I may always be loyal to His commands and thus offer Him sincere worship. Show me by your life how to be single hearted and completely, unswervingly, dedicated to proclaiming thekingdom of God here on earth.